This statistic depicts the maternal mortality rate (per 100,000 live births) for developed nations in Europe, Australia and North America in 2015. According to the data, the United States had a maternal mortality rate of 26.4, compared to Finland with a maternal mortality rate of just 3.8. 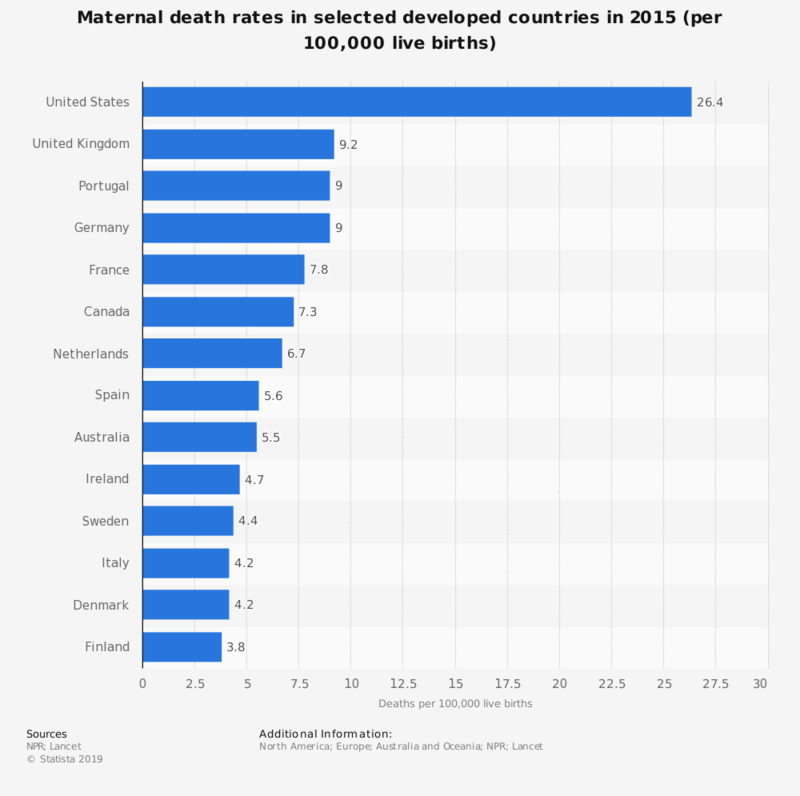 The U.S. has by far the highest maternal mortality rate among developed countries.